Johns' model (Johns, 2000) was developed for nursing practitioners but is applicable to any field. 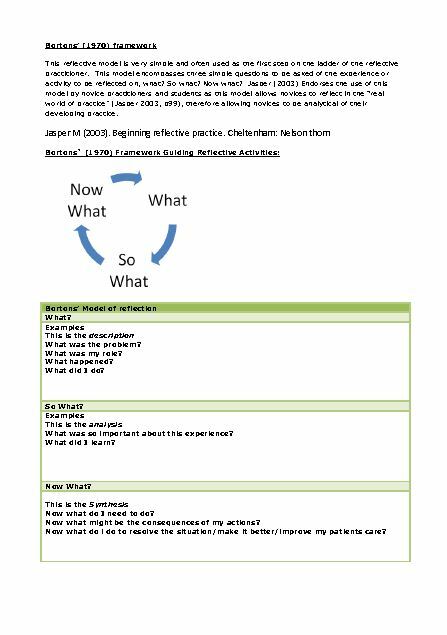 Johns suggests that the "Model for Structured Reflection" is a technique that is especially useful in the early stages of learning how to reflect. The "Looking in" and "Looking out" is a way of challenging our natural tendency to judge ourselves too harshly. Piercy, Nigel and Giles, William (1989) Making swot analysis work (photocopy resource held by University of Nottingham Medical library) Proctor, B (2001) Training for the Supervision Alliance; attitude, skills and intention. Borton's Development Framework. 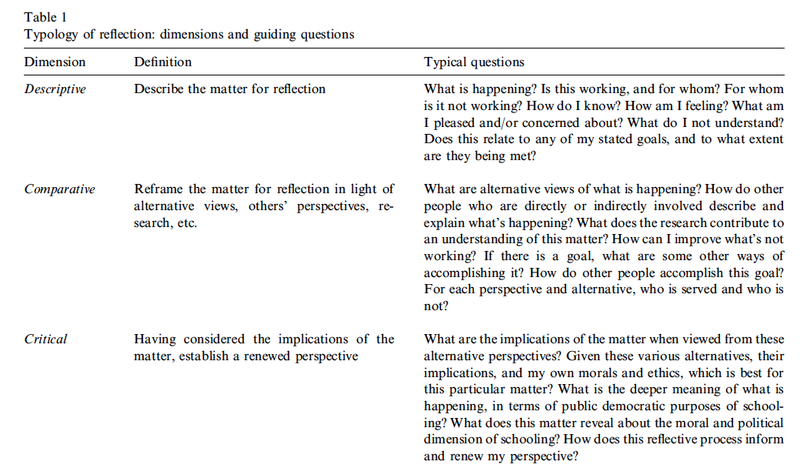 Borton's development framework is a fairly straightforward and easy to implement reflective framework. This enables you to reflect without having the structure in front of you, therefore a favoured one of many health care professionals and advocated by professional bodies.